*UPDATE* I'm going to go with the more reliable sourcing on the update for this story. So a rumor surfaced that Deadpool 2's test screening went for crap, and that 20th Century Fox ordered up some reshoots to try and fix potential problems. 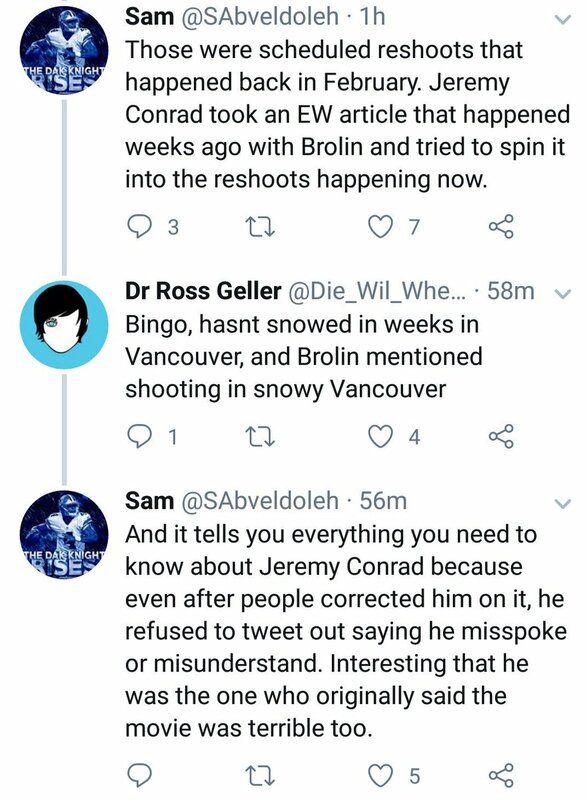 Well, Steve Weintraub at Collider, who I trust to be real with this stuff, says that report is a load of nonsense. Oh, and those reshoots? Apparently they happened last month, not right now. Reshoots aren't that big of a deal. I know they've become an indicator of problems with a film, but seriously most major productions have reshoots factored into the equation. It's natural. That said, sometimes there is more to the story, and Deadpool 2 may be one of those situations. 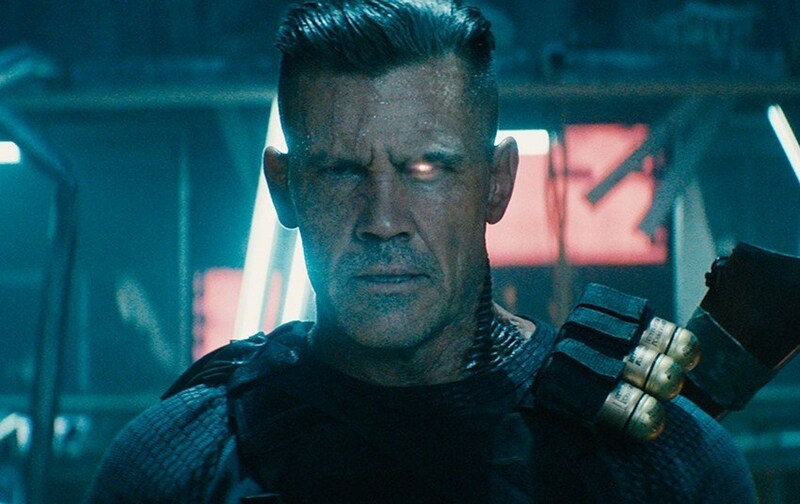 Josh Brolin, who is playing Thanos in Avengers: Infinity War and Cable in Deadpool 2, recently confirmed to EW that reshoots on the latter are taking place in Vancouver. Not a big deal, except that the film's release date was moved up and that could make for a close call. So what could have Fox pressing the issue like this? Turns out, at least according to some who were in attendance (via ScreenGeek), the test screenings for Deadpool 2 did not go well. Fox was reportedly shocked at the reaction, which has attendees criticizing the plot and the usage of certain characters, comparing it to Alien 3 as far as disasters go. That could have encouraged them to move forward on the reshoots despite moving the release date up to May 18th. Now, take all of this with a grain of salt. Reshoots aren't a big deal, and test screenings are inconclusive. DC Films has a pretty good track record with test screenings and we know how things panned out, right?